If you listen very hard, you might just hear the collective exhale of fashionphiles everywhere. Why? Because fall is finally upon us. It’s hard to deny that any season does style better than autumn. Not only is it time to break out some of the most essential of essentials (leather jackets, booties) but it’s that magical time of year when you can start getting creative with layering, instead of being limited to whatever won’t suffocate you in summer’s heat. 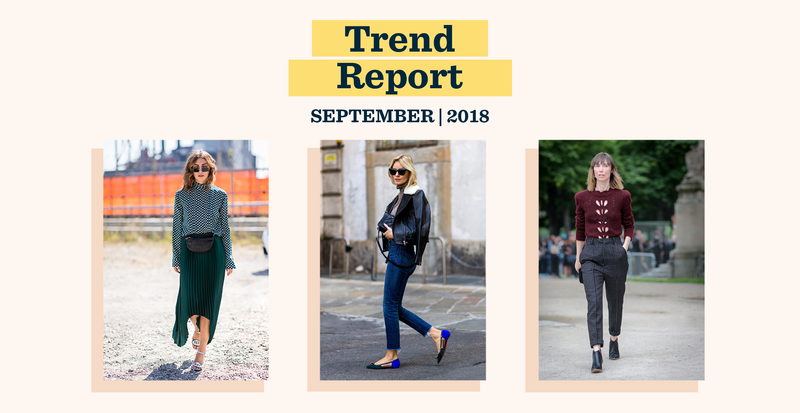 Read on to see the three trends we’re most excited about this month. The fanny pack has been rebranded, and we can’t get enough of it. We were loving it during festival season—so much easier to dance and hold a drink when both hands are free—and we’re glad it’s sticking around for fall. 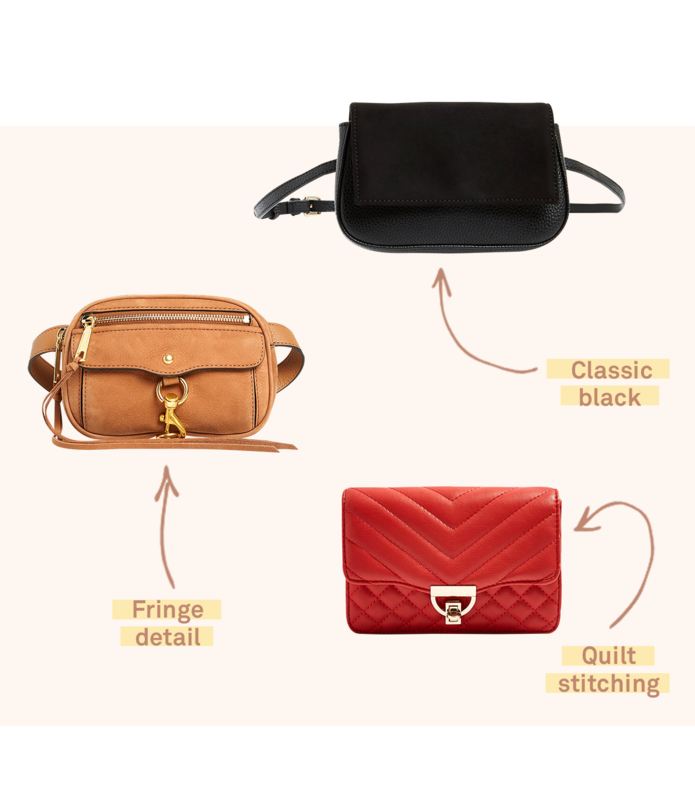 Look for slim, minimalist designs in sophisticated textiles like leather or suede to really nail this fashion-forward (but unbelievably functional) accessory. Who says comfortable has to be colorless? This season’s crop of flats are about as flashy as any shoe can be. 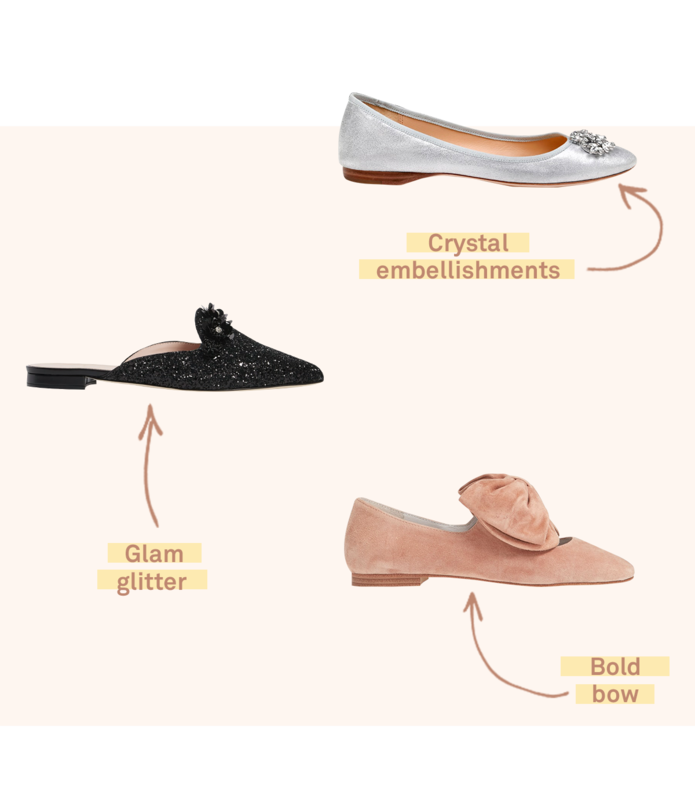 Made from vibrant textiles like jewel-toned velvets and capped with everything from crystals to oversized bows, these luxe slip-ons give “putting your best foot forward” a sparkly new meaning. There’s something about the onset of fall that just makes us want to wear more tailored styles. Luckily, this season is also seeing the continued popularity of menswear-inspired designs. 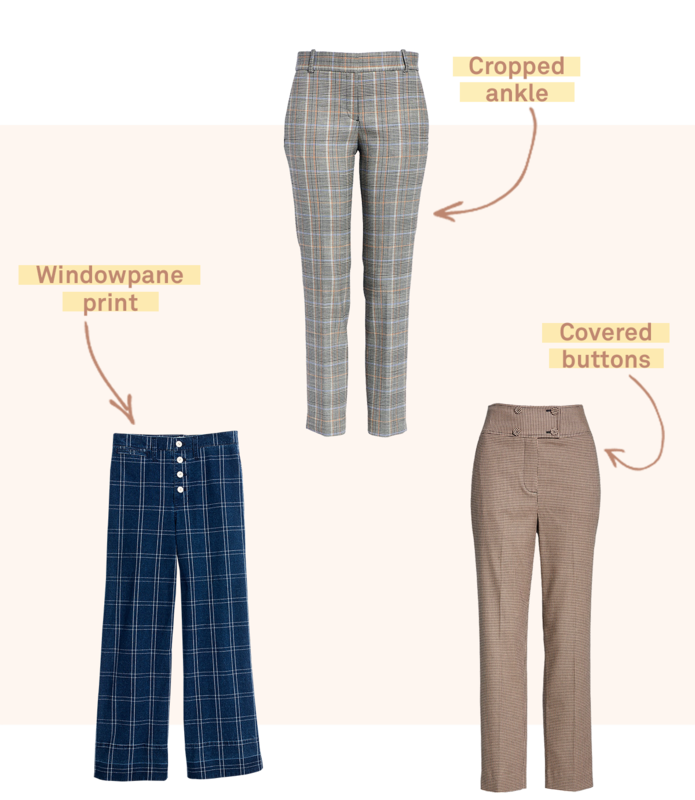 So try a check trouser, which looks equally sharp with a pressed oxford shirt as it does with a buttery cashmere sweater.